During the 2015 Newport Jazz Festival, JazzTimes set up a make-shift video production studio backstage inside the old barracks of Fort Adams. During three afternoons, a succession of artists-including Mike Stern, James Carter, Arturo O’Farrill, Scott Robinson, Pat Bianchi, Fred Hersch, Kate McGarry, Billy Childs, Wayne Escoffery and many others-came in to talk about the festival, jazz education, their creative process and their own projects. You can also see more of these video interviews at the JazzTimes YouTube channel. 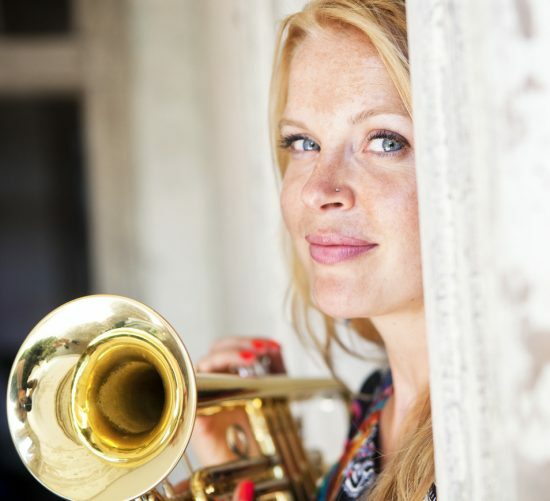 In this interview from Newport, trumpeter and singer Bria Skonberg talked about her musical development and her important teachers and mentors. She also discussed how she came to form the group with whom she played at the festival and with whom she was planning to record.